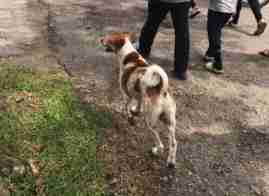 Much has been written about the loyalty dogs have toward their owners — but nothing compares to seeing that faithfulness firsthand. 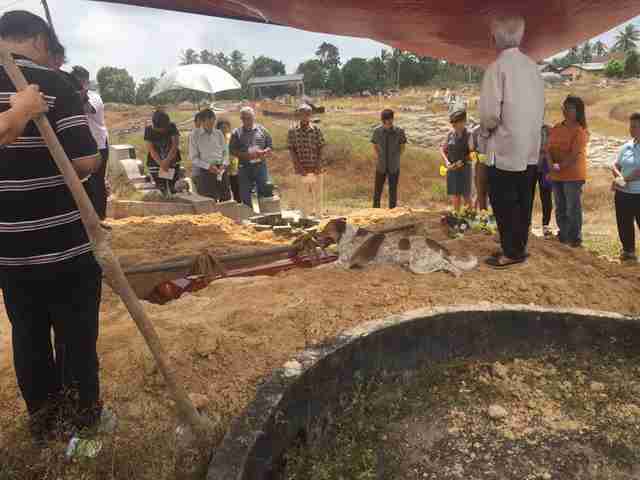 Earlier this month in a village in Malaysia, friends and family of an elderly woman who'd recently passed away gathered to pay her one final farewell. Little did they know, however, just how much her dog, Bobby, wanted to do the same. As the funeral procession neared the place where the woman would be laid to rest, her great-grandson, Leong Khai Wai, noticed something heartbreaking out the window — Bobby running on the roadside, having trailed the motorcade on its 2-mile journey to the cemetery. "I don't think anyone knew he was following," Leong told The Dodo. It's unclear if anyone attempted to offer the dog a ride for the remainder of the trip, but Bobby evidently needed no assistance. In fact, it was almost as if he knew what awaited him ahead. 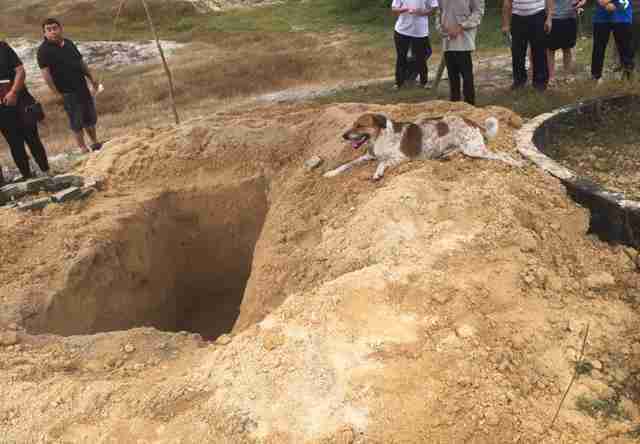 Once at the burial site, Bobby proceeded to lie down alongside the hole his best friend's body would soon be placed in. From there, he refused to budge. As the coffin was lowered, Bobby remained glumly looking on. 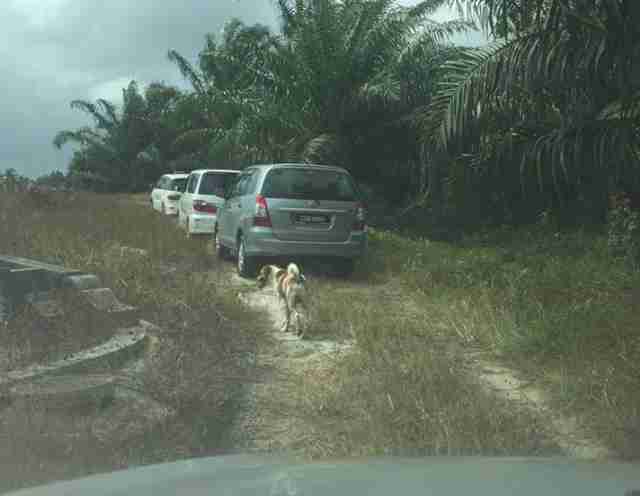 "They said it was the first time they'd ever seen such extreme loyalty in a dog," Leong recounted. 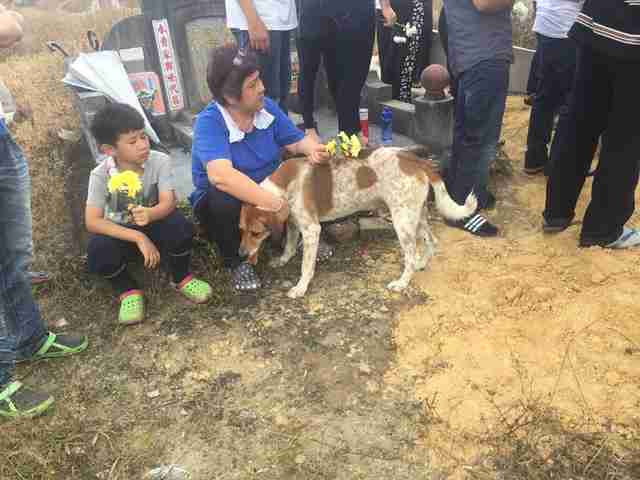 We may never know to what extent being present for his owner's funeral will help Bobby overcome the sadness of losing her, but at least he knows now where she'll be forever. And fortunately, he won't be alone in his grief. According to Leong, his grandfather and great-uncle are now taking care of Bobby, and that he's coping as well as could be expected in light of his heartache.